On Sunday morning you awaken, step out of bed to go make that cup of much needed coffee, and:“squish”! Your feet hit wet bedroom carpeting. During the night you had a pipe burst in your house and the floors in your Tucson home are covered with three inches of water. There are a couple of steps you have to take immediately. First, before you do anything else, turn off the water coming into your house. Secondly, call your plumber and third, call your insurance company. At the Plumber of Tucson, we cannot stress enough the importance of having a plumber with the knowledge and ability to work hand-in-hand with your insurance company. Part of providing good service to our customers is the ability to interact with your insurance company and work well with the insurance adjuster assigned to your case. 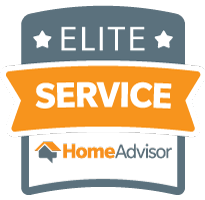 During a disaster you want a plumber that knows the ins and outs of dealing with insurance adjusters and is able to tell you with accuracy what they believe will be covered and what will not be covered. It is important to keep in mind that all insurance companies are different and vary in what they cover. After working with our customers’ insurance companies over the course of many years, we want to share with you some thoughts on what we have found most insurance companies cover and what they usually do not cover. A sewer line break or other pipe breaks causing a slab leak. An overflowing toilet is usually covered. A toilet that has a “soft stoppage”, which normally is caused by toilet paper, is normally covered. These “soft stoppages” can back up a sewer line. You have water lines inside and outside of your walls. One of these breaking is usually covered by your homeowners insurance. Ice maker lines that leak; a hose connecting your dishwasher; and a washing machine hose that suddenly pops a leak. Depending on circumstances these are usually covered items. A water heater that leaks and causes water damage is often covered in a water loss claim. A sewer back up that was caused by your grandchild putting that yellow rubber ducky in the toilet. A slow-leaking pipe that has gone unnoticed by the homeowner. A slow-spreading leak caused by an appliance that has not been maintained properly. A sewer back up that was due to old piping. 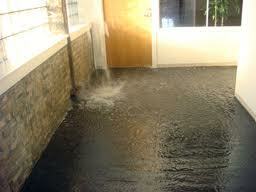 Water damage caused by your old galvanized pipes bursting. Please note: Water damage caused by anything that has leaked or seeped out water over a long term period is typically not covered. That can be defined as anything over 5 to 14 days, depending on the insurance company and your adjuster. The homeowner should document, for his or her personal records, the damage done to their home. Please take pictures. We know the plumber and insurance company will do this, but the homeowner should keep copies of their own. When a water damage disaster occurs, plumbers are normally the first responders as it’s a plumber’s job to be able to diagnose the cause of the water damage, take photos of the cause, and document all the damage that has occurred in the property and to personal items. We cannot stress enough that EVERY PLUMBER should have moisture readers in their tool box. We realize this is unusual, but this really helps in documenting and most off all protecting your property by discovering how far the water is spreading. The insurance adjuster really appreciates this attention to detail by the plumber. We hope this gave you some insight and educated you a little on your property insurance plumbing coverage.